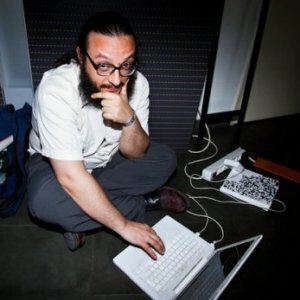 Salvatore is a TED Fellow (2012), and teaches Interaction Design and Digital Design at Rome's University "La Sapienza", at ISIA Design Florence, at RUFA, Rome University of Fine Arts, at IED, Istituto Europeo di Design. He created multiple interactive experiences for arts, architecture, theater and performance, dealing with important societal issues of planetary level and exhibted all over the world. Salvatore Iaconesi of AOS has been nominated TED Fellow for 2012 and, for this, will be presenting at TED Global 2012 in Edinburgh from June 25-29 2012. At Art is Open Source we focus on the transformations which have been brought on to human beings by the wide and ubiquitous availability of digital technologies and networks. How has our perception of the spaces around us transformed during the last few years. The wide and ubiquitous availability of digital technologies and networks radicalizes our perception of space, transforming reality into a read/write environment which can host infinite number of informations and expressions. Open Data, Big Data, realtime information harvesting from social networks, privacy, transparency, ubiquitous technologies, citizen science.